The Ecsta 4X delivers class-leading ultra high performance in wet and dry conditions without leaving you stranded in the snow! With a 40,000 mile limited tread wear warranty, limited road hazard coverage, the Ecsta 4X combines value and performance to give you an ultra high performance experience. These tires appear to be the kind that pick up nails. I've had two nails in the tires in six months. Reminds me of the Pirelli P6 I used to have. Same thing. Nail magnets. I drive 20" tires 450 highway miles a week and they hold up pretty well considering I need a rear alignment like it was last year. 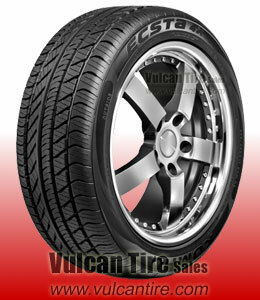 I'd recommend these all weather tires to anyone that would listen and the price is awesome given the size of the tires. Tires are smooth. Much cheaper through here....in stores or on other websites they are twice the cost.